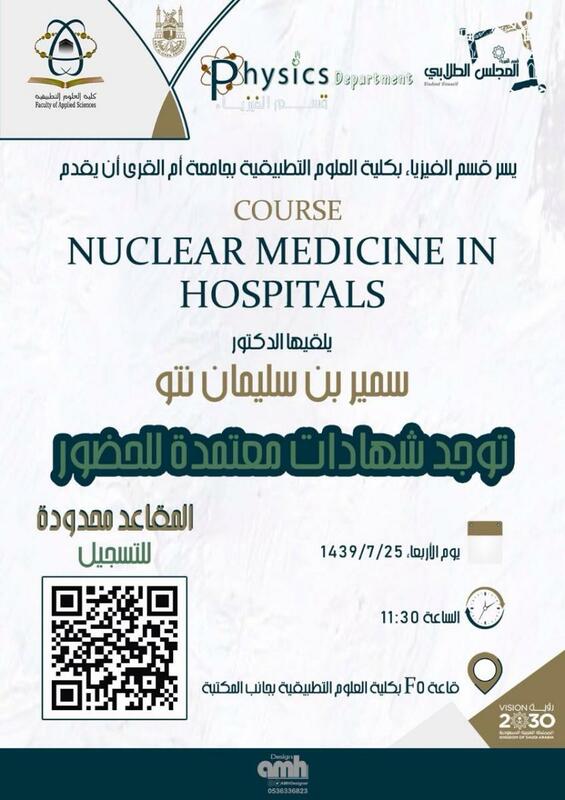 The Department of Physics invites you to attend a scientific lecture on the nuclear medicine in hospitals. It will be delivered by Dr. Samir Natoo. All the details are in the attached banner.